The new line of Ditch Witch vacuum excavators includes three models – the HX30, HX50 and HX75 – each with outstanding suction and water pressure, and featuring a patent-pending design for optimized air flow. Each model also features a standard, cyclonic three-stage filtration system, offering the industry's best filtration for maximum protection of key components. 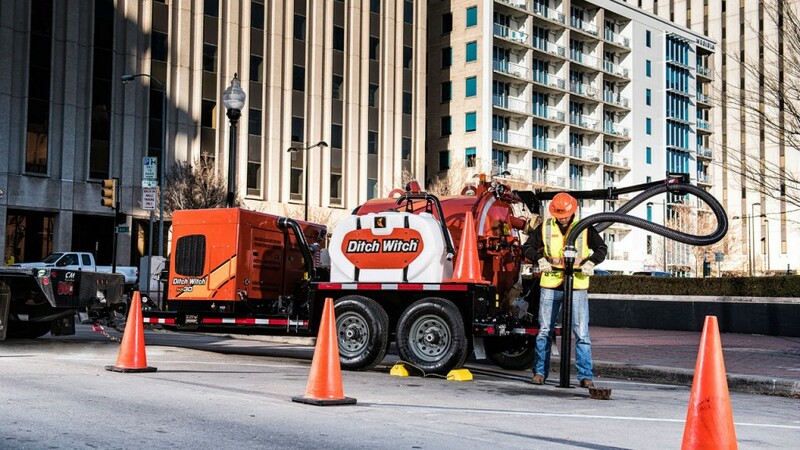 "Contractors are always on the lookout for opportunities to improve efficiencies and reduce costs on the job," said Chapman Hancock, Ditch Witch product manager, vacuum excavators. "Our new HX-line not only enhances productivity, but improves versatility to easily meet the diverse needs of different municipalities and contractors globally. The low-profile design allows for easy navigation on any jobsite without compromising ground clearance, and offers a compact footprint suitable for large-scale applications without compromising power or production." The vacuum excavators are equipped with Kubota Tier 4 final engines, providing a range of 24.8-, 49- and 74-hp to the HX30, HX50 and HX75 respectively. The three units provide more fuel capacity than each of their predecessors for longer job durations. And, the engines boost power without producing powerful noise. Advanced sound-reducing technology creates minimal disturbance in noise-sensitive areas and contributes to superior operator comfort. Tank options include a choice of a 500- or 800-gal debris tank to meet the requirements of any sized cleanup. And, each is available in a standard or heavy package with various freshwater tank sizes and trailer weights depending on jobsite needs, and can be configured with an optional power boom or jib boom. All trailer configurations are NATM compliant.